French retro Deco blue acrylic arm band or bracelet if you prefer. 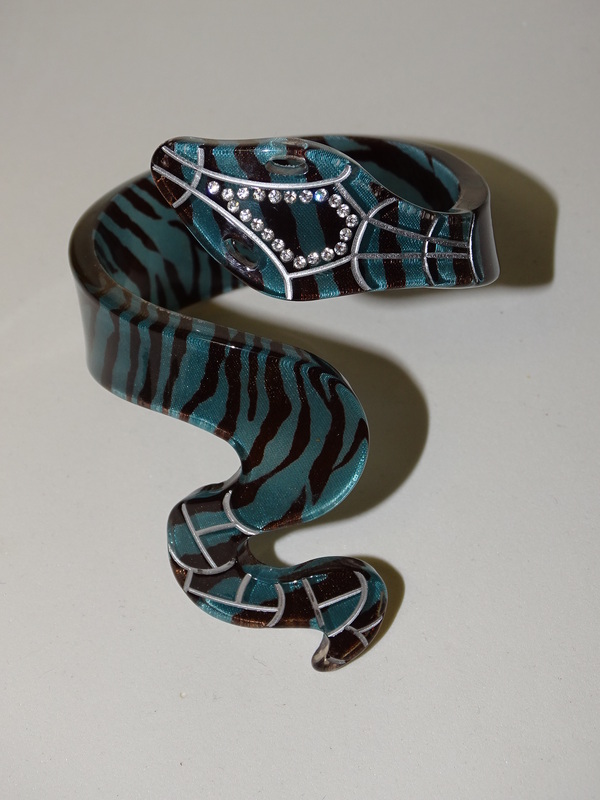 The inside diameter of the bracelet is 2-1/2 ” and the bracelet measures about 4-3/4″ tall. 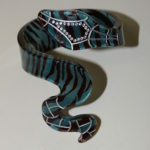 The pattern is a black Zebra stripe against a pale blue background accented with rhinestones on the head of the snake. Very French, very Deco AND very alluring ! • First time buyers can receive up to a 20% discount, please click HERE for details. • As usual, insurance & shipping are always at no charge.